Wedding Limo Ft Lauderdale FL If you’ve come looking to book transportation for your time in Ft. Lauderdale, look no further. Price4limo.com offers a variety of vehicles to suit even the most demanding needs. Ft. Lauderdale is a popular city, known for its historical buildings and as a popular boating destination. Flying into our city via Fort Lauderdale – Hollywood International Airport? Book with us now and set up airport limo transfer service to take you from your point of arrival to your destination. FLL is not only a busy hub but is also one of the fastest growing airports in the USA, so be smart and book your limo with us instead of waiting when you arrive. Price4Limo.com offers you the convenience of looking at actual pictures of your ride before you book, giving you the peace of mind that the vehicle you book is the vehicle waiting for you when you touch down. If you’re in Ft. Lauderdale for a family event our drivers can help you make the most of your visit making sure you arrive safely, on time, and in as much style as you like. Not only do we provide service in Ft. Lauderdale proper, our service extends to the surrounding areas of Hollywood, Weston, Sunrise, Davie, Plantation and Aventura. We offer a variety of specially equipped vehicles, with classic looks such as a black Hummer. We provide convenient point to point transportation, and we will gladly take you to and from the Bonnet House, The Westin Diplomat, Bonnet House or any other hotel. Limo Ft Lauderdale wedding shuttles. If you’re in Ft. Lauderdale for a family event our drivers can help you make the most of your visit making sure you arrive safely, on time, and in as much style as you like. Not only do we provide service in Ft. Lauderdale proper, our service extends to the surrounding areas of Hollywood, Weston, Sunrise, Davie, Plantation and Aventura. We offer a variety of specially equipped vehicles, with classic looks such as a black Hummer. We provide convenient point to point transportation, and we will gladly take you to and from the Bonnet House, The Westin Diplomat, Bonnet House or any other hotel. Planning a wedding? We can make sure you get to the wedding, reception, and back in a wide variety of vehicles and shuttles. 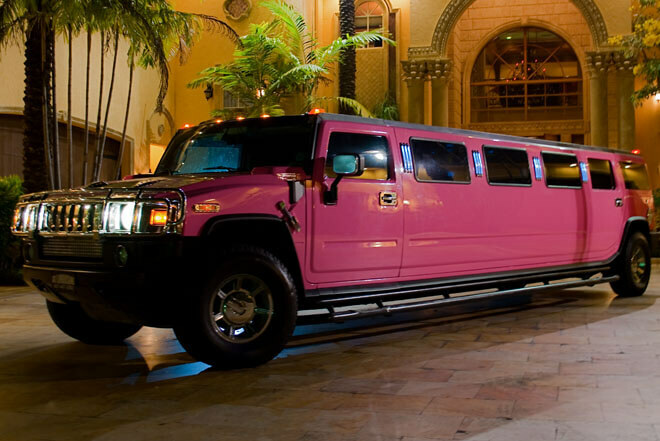 We’d be happy to take care of transportation to and from bachelorette parties. Not only do we offer Hummers, stretch limos, and shuttles – if you plan on visiting a few of our 120-plus clubs, book a party bus to add not only convenient transportation, but also a mobile party platform! Price4Limo gives you all the details, from what your vehicle will look like, the price, amenities, and capacity of each vehicle in our fleet. You can take a risk and bet on the airport, resort, hotel and others to take care of your transportation needs, but book with us and have the peace of mind that the perfect vehicle for you and your party will be waiting when you’re ready to move, to take you to your destination promptly and on time. Ft. Lauderdale, with its extensive canal system, is often called the Venice of America. A popular destination for travelers all over the world, this beautiful city has so much to offer. With so much to see and offer, from the marinas and their yachts to the historical forts predating the Civil War, it's no wonder the draw the city has with people all over the world. Whether your business here is personal or professional, visiting family or friends, be sure to book with price4limo.com to make the most out of your experience in our lovely city.